Today morning proceed for Great Ocean Road full day tour including Pizza Lunch at Apollo bay . After Breakfast, Check out from Hotel & Transfer to Airport to board the flight for your home town. Tour Ends with Happy Memories. 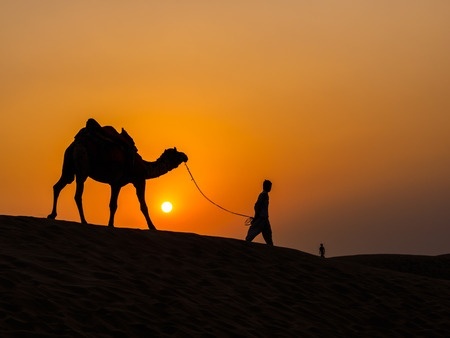 Fare : INR 64,000 /- per person. Please note that the given airfare is best available as of now and same is subject to change at the time of confirmation. * Accommodation in hotels as specified and subject to availability at the time of booking. * Seat in Coach Transfers or Private Transfers as specified below. * Arrival Documentation for your customers. * Meals as specified below. 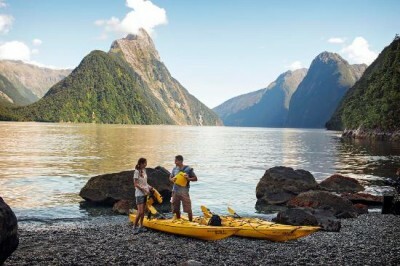 1AUD= 51 The prevailing Rate of Exchange of the day of payment will be applicable Itineraries are subject to change. The passport should be valid for at least 6 months from the date of Arrival from tour. Evening reach Madurai and pick up from airport / railway station. Transfer to Rameshwaram surface approx. 165 kms. On arrival check inn at hotel. After vresh up and change you can participate evening Aarti of Ramwsharam Temple. Overnight at hotel. Morning after breafkast depart for Madurai surface approx. 115 kms . On arrival check inn at hotel. Later visit famous Meenakshi Temple. Evening will be free at your leisure. Overnight at the hotel. After Breakfast leave for Airport / Railway station and drop to same for your onward journey. Arrive in Madurai check in at hotel. Afternoon relax at the hotel. Evening proceed for half Day sightseeing of famous Meenakshi Temple. You can Also Participate in an evening Aarti. Overnight at the hotel. Early morning you depart for Rameshwaram by surface approx. 152 kms / 3 hrs. Arrive in Rameshwaram Check in at your hotel. 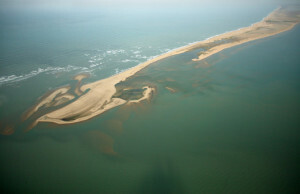 Today full day excursion to Rameshwaram, Visit the famous dhanush koti beach in the evening. Overnight at hotel. Early morning Darshan in the famous rameshwaram temple. Morning depart for Kanniyakumari by surface approx. 382 kms / 7hrs. Arrive in Kanniyakumari the southern Tip of Indian sub-continent. Check in at your hotel. Evening at your Evening at your Leisure, Overnight at the hotel. Morning the Vivekanand Rock Memorial, take boat ferry to reach to memorial. Then visit Gandhi Mandapam and Wax Museum. Drive to Trivandrum airport or Railway station for your hometown with lots of memories to cherish for a life time! Arrival at Bagdogra Airport & transfer to Gangtok (5,500 ft.). On arrival Check-in to hotel & rest of the day at leisure. Overnight stay at Gangtok. After breakfast day excursion to Tsomgo Lake (12,400 ft.) & Baba Mandir (13,200 ft.) which is 55 kms one way from Gangtok city. Overnight stay at Gangtok. 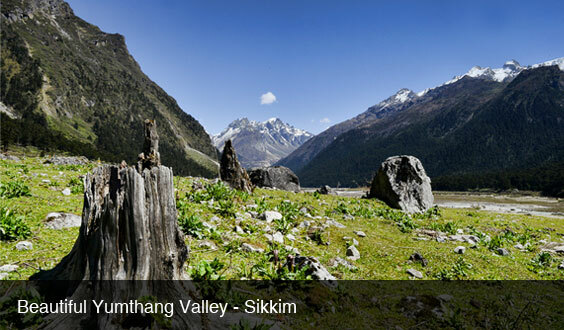 After breakfast check out from hotel and proceed to Lachung (8,700 ft.), North Sikkim. On the way take a break for some beautiful spots which are worth seeing and visiting like Naga Waterfall, The Confluence of Lachen Chu & Lachung Chu at Chungthang and Bhim Nala Waterfall. On arrival at Lachung check into your hotel. Dinner & Overnight stay at Lachung. Meal Plan (as per mentioned above) – 10 Breakfast, 2 Lunch and 2 Dinner. Vehicle will not be at disposal it will be available to guest as per itinerary only (point to point basis). 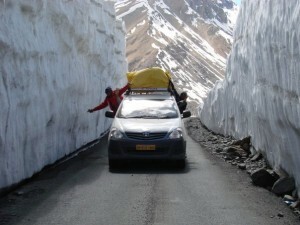 Supplement Cost for Nathula Pass@ 5,500.00 per car will be charged extra. Nathula Pass Clossed on Monday & Tuesday. 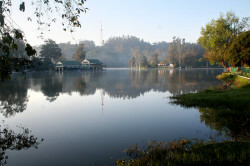 Permit require for Tsomgo Lake. It is mandatory that guest should carry 02 copies of passport size photograph, original photo ID proof with photo copy (identity card – Voter ID card / Pass-port / Driving License / Aadhar Card) for processing the permit.PAN Card is not acceptable for issuance of the Permit. Note: The above quote is valid for 03 days from the date of quotation. Kindly send your confirmation within the time limit or else the quoted rates may vary. Take a flight from Indore at 07:40 Pm. Reach Chennai at 09:50 Pm. Take a flight from Chennai at 04:30 Am. Reach Singapore at 11:15 Am. Pick up from Airport at 12:45 Pm & Transfer to Hotel. On arrival check in at Hotel & Relax Yourself. 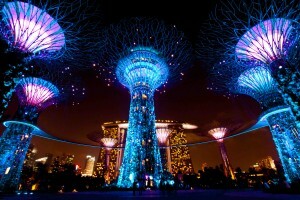 In evening visit Garden by the Bay. & Marina bay Sands Back to Hotel. Overnight at Hotel. After Breakfast at 09:00 Am Proceed for Full Day Sentosa Island Tour with Cable Car. Back to hotel at 08:30 Pm. Overnight at Hotel. After Breakfast. Full Day Visit Universal Studio. Back to Hotel. Overnight at Hotel. Take a flight from Singapore at 10:20 Am. Reach Bali Airport 01:15 Pm. The island of god. On Arrival at Bali take on Arrival VISA & complete the custom process. Transfer to hotel. Check in at Hotel. Freshen up & Rest. Overnight at Hotel. Morning after breakfast at the hotel day free for your leisure. In evening Transfer Sunset Dinner Cruise by Bali Hai on basis back to hotel. Overnight at Hotel. After breakfast check out from hotel & transfer to airport. for your onward Take a flight from Bali at 02:35 Pm. Reach KUL at 05:35 Pm. Take a flight from KUL at 09:40 Pm. Reach HYD at 11:35 Pm. Take a flight from HYD at 07:25 Am. Reach Indore 08:50 Am. Package valid till 31ST DECEMBER 2017. High Season Surcharges Applicable during Christmas Eve & New Year’s Eve. 1 USD = INR 68. The prevailing Rate of Exchange of the day of payment will be applicable. After breakfast leave for full Day Phi Phi Island with Lunch Tour By Boat. Overnight at the hotel. After breakfast leave for Phuket City Tour. Back to Hotel Overnight at the hotel. After Breakfast check out from hotel & transfer to airport take a flight from Phuket 09:45 Am. reach Singapore at 12:45 Pm. Pick up from Airport & Proceed for Hotel. On Arrival Check inn hotel. Day free at your leisure. Evening Visit Marina Bay Sands, Garden by the Bay. Back to Hotel. Overnight at the hotel. After breakfast Leave for full day Universal Studio Tour Resorts World (One Day pass with All rides Included). to enjoy various activities at Lost World, Far Far Away, Madagascar, Hollywood, New York, Scifi city & Ancient Egypt. Back to Hotel & Ovenight at hotel. After breakfast visit Sentosa Island Tour Enjoy (One Way Cable car, Desparados + Extremelog ride + 4D : Journey 2 Mysterious Island + 4D: Green Lantern + Be-Pedal Bicycle + Butterfly Park & Insect Kingdom + Fort Siloso Combat + Madame Tussauds + Mega Bounce + Sea Aquarium + Sea Breeze Water Sports + Segway Fun Ride + Sentosa Merlion + Luge & Skyline + Trick Eye Museum + The Flying Trapeze + Tiger Sky Tower + Wave House Sentosa + Wings of Time, Dolphin Show) (SIC) with Full day Sentosa Fun Pass On sentosa Island & Overnight at hotel. 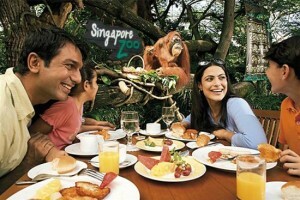 After breakfast Leave for Jurong Bird Park & In Evening visit Night safari. Back to Hotel. Overnight at hotel. After breakfast check out from hotel & visit Singapore city Tour. After transfer to Singapore airport. for your onward Take a flight from Singapore at 07:10 Pm. Reach KUL at 08:15 Pm. Take a flight from KUL at 10:35 Pm. Reach CCU at 12:00 Am. Take a flight from CCU at 05:35 Am. Reach Indore 12:05 Am. Package valid till 31ST DECEMBER 2019. High Season Surcharges Applicable during Christmas Eve & New Year’s Eve. 1 USD = INR 70. The prevailing Rate of Exchange of the day of payment will be applicable. 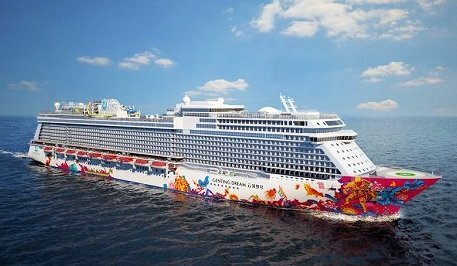 After breakfast visit Singpore City Tour with Flyer & Transfer to Cruise Point. Check in time starts at 02:00 Pm check inn at Cruise. Cruise Depart at 05:00 Pm. After board in Enjoy the Various activities on Cruise at your own. Dinner at Cruise. Overnight at Cruise. After Breakfast. Cruise will board at Penang Island from 01:00 Pm to 09:00 Pm. Enjoy the activities on Island at your own. Overnight at Cruise. After Breakfast, relax and Disembark the cruise at 12:00 Pm. Transfer from cruise Terminal to Airport. Take a flight from Singapore at 07:10 Pm. Reach KUL at 08:15 Pm. Take a flight from KUL at 10:35 Pm. No booking is made or space held as of now for the below query. Cabins are subject to availability at the time of booking and will be at prevailing rate. The rates given above are the best promotional rates available as of now. Arrival in Delhi Airport / Railway station, meeting and assistance followed by drive to Haridwar surface approx 245 kms. On arrival at Haridwar check-in at hotel. Evening Visit Mansa Devi temple & Aarti at Har Ki Peri. Overnight stay at hotel. 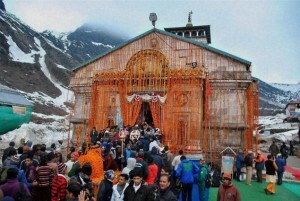 Optional– If Helicopter ticket booked for Kedarnath Ji, Same day will be returned and night stay at Guptkashi. GMVN or Similar Hotel. Arrive Amritsar Airport, Pickup & Depart For Dharamshala by surface (200 kms.approx. 4-5 Hrs) Afternoon you arrive Dharamshala and check inn at the hotel. Rest of the day at leisure. Overnight at the hotel. After Breakfast depart visit Jaliyawala Bag and Golden Temple. Later depart for Amritsar Airport for onward journey. Morning pick up from railway station and you will depart for Dharamshala approx. 89 kms. Afternoon you visit Kangra Art Museum, Kunal Pathri, Tea garden & War Memorial. Evening will be at your leisure. Overnight at the hotel. Morning you proceed to visit the Spiritual city of Dalai Lama. 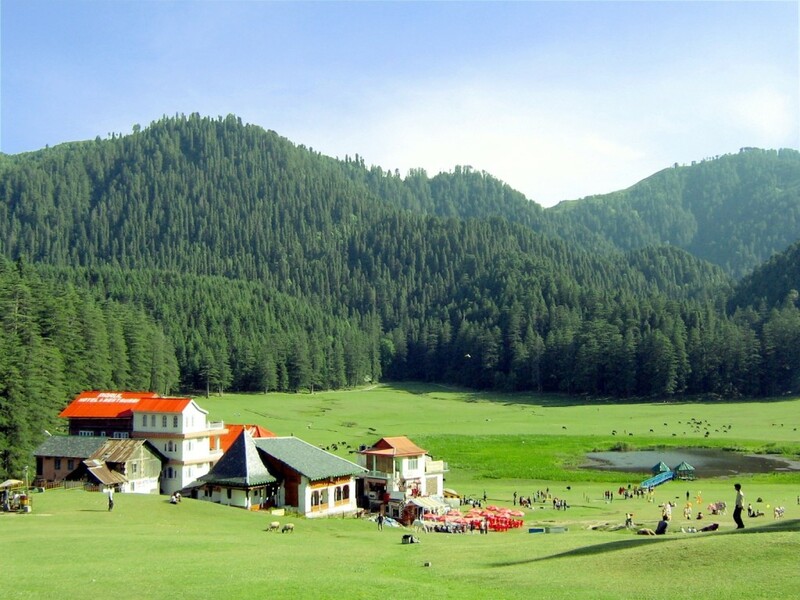 You visit the Macleodganj area covering the Dalai Lama Teple, Bhagsunath, Dal Lake, St. John’s Church & Talnoo Nadi. Evening will be at your leisure. Overnight at the hotel. Early morning you depart for Manali approx. 238 kms. Enroute you halt at Kullu to see the famous Kullu Shawl factories & Manikaran. Manikaran has the World’s hottest Suplhur Spring Waters ,Parvati River, and is a holy place for Hindus & Sikhs alike. Evening at leisure or stroll on the Mall Road for shopping (on own). Overnight at the hotel. Today you visit the Jagatsukh Gayatridevi Mandir and Naggar Art Gallery. Later in the afternoon you visit the Hidimba Temple, Manu Mandir & Vashisth Kund. Overnight at Hotel. Morning after breakfast proceed to Mandi approx 3.5 hrs drive. Evening at your leisure. Night in Mandi. Morning after breakfast you will be transferred to Ambala by surface approx. 45 kms / 1.5 hrs. Drop Railway station for your onwards Journey.